Is there something you know how to do but you are surprised to find out that others have not yet been enlightened? Or maybe a friend does something in front of you that totally blows your mind? For example, I just found out that some people use a fork do skewer an Oreo and dip it in milk. What? I can now dunk and read with ease. Others continually grow green onions on their windowsill (completely awesome). Layered drink how-to is just one of the pieces of useless knowledge that fills my head. You can layer drinks in any way you like- the secret is in the sugar content. This works well for red, white, and blue but you can really do this with any color combination. The other secret to success with layered drinks is plenty of ice. After you add your bottom layer fill the glass to the top with ice and pour the second layer slowly and directly on top of an ice cube. Some people have had difficulty finding the White Sobe Pina Colada. Here is a version I made using Gatorade. These would be a really fun and easy addition to any picnic you are attending or hosting for the Fourth of July holiday this weekend. I had a few friends ask if they could add alcohol and I don’t see why not as long as you note the sugar content in your layers. Since I have the kidlets running around we kept these alcohol-free. But looking back at the photos you can judge for yourself. Layered drinks in red, white, and blue- perfect for 4th of July! Non-alcoholic and kid-friendly for your next party! Fill your glass 1/3 of the way full with CranApple juice. Fill to the top with ice. Slowly pour the remaining drinks directly on top of a piece of ice. I used Starbucks Iced Coffee bottles in these photos. I’m also including an Amazon link to some pretty glass milk bottles and similar straws. Some people have had trouble finding the Sobe Pina Colada. I found it at my local grocery store. You could also try a convenience store or gas station. This post contains Amazon Affiliate links. 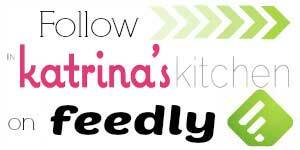 I include these links to help you find specific products that are used in recipes. 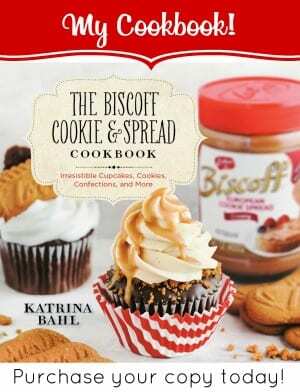 If you purchase an item from Amazon from the link In Katrina’s Kitchen receives a small commission. Thanks! Here are some other Red, White, and Blue recipes you may enjoy. These are so cute! You should come join #SundaySupper over on Facebook! 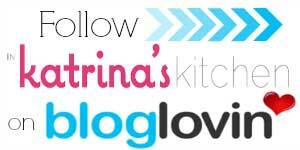 We have such a fun group of bloggers, and I think you'd really love it, Katrina!! How fun! I learn something new every day from someone's blog. today it was yours. And I just bought a dozen of 1 pt. canning jars for drinks. Woo! Hoo! I always wondered how the heck you did that! Awesome! I may just have to do it soon! :)) Amazing! What a cool idea! Totally gonna try this! Thanks for sharing…..
Super cute, and perfect for the 4th! I love your straws! How fun Katrina!! I love this idea. Thanks for sharing!!! Oh my gosh…these are pure genius!!! These are so fun Katrina! You are so creative! Thanks for teaching me something new today. I had no idea how to layer drinks! My recent post California Avocado 4th of July Blast Recipe Linkup and Giveaways! Love it! 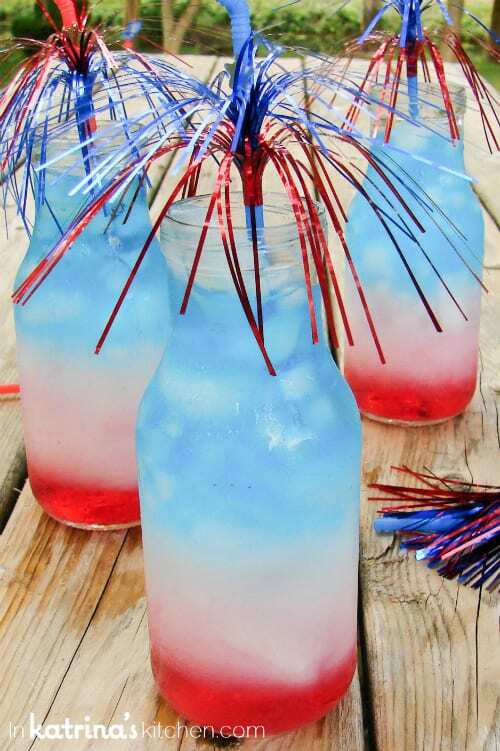 I made something like this last 4th of July, but Mine was Red Blue and White haha, because I couldn't find a whiteish drink to go in the middle. Love the SoBe drink idea tho! Cuteness! What a gorgeous and refreshing drink, K! I seriously love this. I've never thought to look into how to do this so thanks for taking the work out of that for me! 🙂 My girls would get the biggest kick out of this. These are gorgeous and sound so yummy! These are great! Love the straws! Where did you find them? 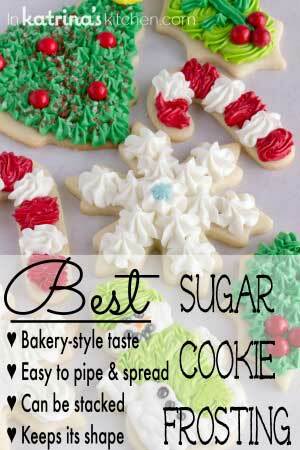 I have always wanted to know how to do that–it totally makes sense once you explained about the sugar content. Thank you! And totally aside, how are you liking CommentLuv? I've seen it around and thought about switching . . . This is so smart! And super cute…. we will be making these for the fire works on the 4th to take with us. This is such a fun drink! Can't wait to make it for my kids on the 4th. I know they will love it! My recent post Chocolate Chip Cookie Dough Dip with Homemade Chocolate Graham Crackers Plus A Sweet Giveaway! Thanks- I found them at Target. I tried this yesterday ! It works! Hey, do you mind submitting your photos to <a&gt http://www.foodporn.net“” target=”_blank”>;http://www.foodporn.net“ target=”_blank”> http://www.foodporn.net” target=”_blank”>;http://www.foodporn.net to make others hungry? Awesome! So cute and easy! Thanks for another great idea!! Great Idea! Love the color combination and your presentation. where did you get the individual sized bottles? These look so cool and awesome for the kiddos! WHAT a clever idea and they must have been fun to make too! No idea that Ocean Spray had the highest sugar content – how interesting! I've rustled up patriotic oreos – oreos dipped in white chocolate and covered in funfetti. I know, wicked. But terribly good! Just made 'em to end our 4th of July! Delish! Thanks for the fun and yummy idea! My recent post Fun for the 4th! This is adorable! Thanks so much for sharing this and for including the recipe and specific instructions. I can’t wait to give these a try. Can’t wait to try these this year! Sounds like a great alternative! Thanks for stopping by. This is such a great idea! Love the flavors too! These drinks look really cool but how is it probiotic?! I make kombucha all the time and you wouldn’t have the probiotic properties without the “mother” or SCOBY. Just wondering…..
Where did you find the Sobe Pina Colada? I’m having a heck of a time finding any. I found it at my local grocery store. But I think you would have luck finding it at a gas station or convenience store (7-11, Circle K, etc). Could you make these ahead and take them? I was thinking of these for my daughter’s July 2nd birthday party at the park. Would the colors get mixed up during travel? Great idea! It’s hard to say- I moved them around from inside, then to outside, and back inside while making them and photographing them. They stayed relatively separated (but I wasn’t doing a ton of moving). More than moving I’d say the ice melting would be a factor. If it were me I’d mix one up and take it on a test run to the grocery store or the park and see how it holds up. Thanks for stopping by! I love it. Just sent your link to my boss. We work at The White Rabbit. A small cute historical building in Odenton,MD. It was the first bank in our small beautiful town in 1917. There is actually a small book that was written about Odenton and the Railroads that went and still go through here. Anywho we are looking for a special drink to have available for 4th of July week for our patrons. Which 85% are train commuters that work in our nations capital. Thank you for sharing this recipe! I truly hope you and yours have a safe and very enjoyable holiday. Great idea!!!! so cute and clever. my grandchildren will love them. 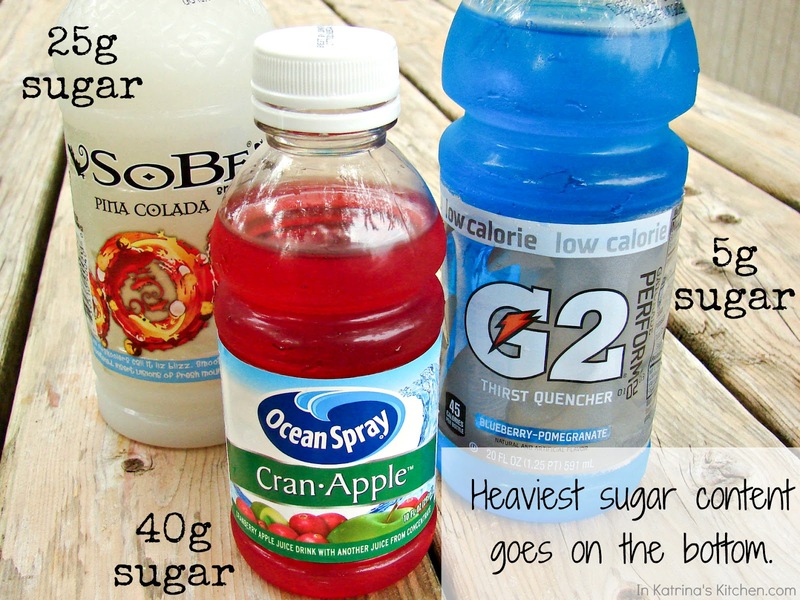 You can use any combination of drinks that you like as long as you note the sugar content. I’ve seen some people use Sprite. What kind of glasses did you serve your layered drink in? I liked the angles. The glasses are just Starbucks iced coffee jars. I’m happy to hear that your family loved it as mush as ours did! Going to do it again next Tuesday! 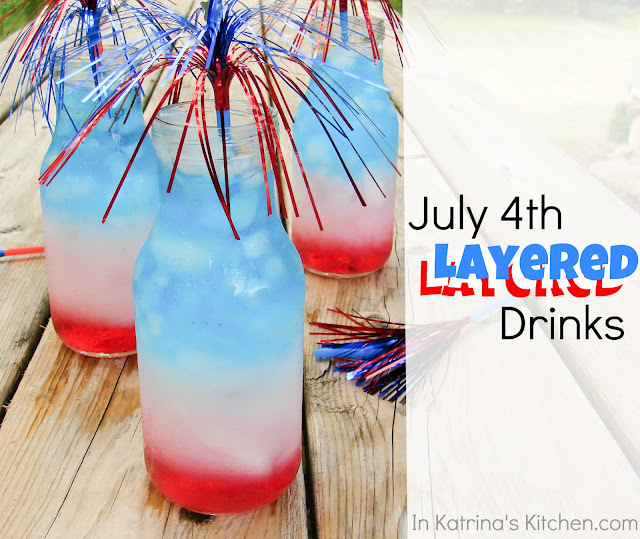 I am loving the layered drink AND best part of all… my kids are going to love it even more. Shhh… It’s a surprise for them on the 4th. In the meantime, I just listed this recipe on my blog with a link to this site. Please be sure to check it out and thanks so much for posting. Happy 4th of July!!! I’m happy to hear it! This is such a fun summer project for kids. I love this recipe, I”m giving a cocktail class next week and I plan on using it and I will be sure to put your website and link back on the recipe cards; great site! Thanks Donna! I’m glad you like it. I would love to see a picture if you want to post on my facebook page. Thanks Katrina! 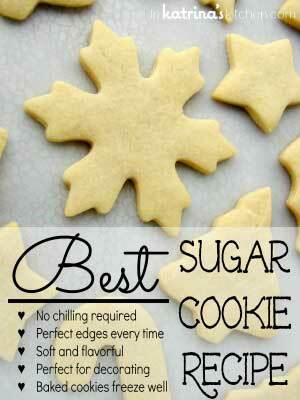 I made these with my kids and they LOVED them!!! So dang cool!!! Yay! I’m so glad that you tried them, Erin! And, how did you make the straws? These look great! Thank you for this very creative party drink idea! I am going to attempt this for my next kid party! Thank you very much! I have included this in my roundup of fantastic 4th of July craft ideas. Hey, just changed to mindful of your blog post by way of The search engines, and discovered that it must be truly beneficial. I am destined to be cautious for the city. I will enjoy when you continue on this kind of later on. Lots of other folks will likely be benefited from your creating. Cheers! Awesome! I am going to make these for my fellow nurses while we work the night of the fourth! Kudos for you for finding a place to express your femininity amongst all the boys in your home!! I made these for the fourth and they were a huge hit! I loved how they turned out, thanks for the awesome idea. This is a great idea for drinks. This is such a cool idea! You can talk about the science behind it while you create the drink with your kids. Exactly! My oldest was fascinated! We’ll have to make it again this summer now that my little guy is older and can understand it better. Thanks for stopping by! I like this Layered Drink Recipe, will make together with my son someday. Katrina, do you know where I can buy plastic 1/2 pint milk bottles? We will serve these at a pool party and cannot use glass. Or can you recommend a plastic cup these would look good in. Thanks! I’m not sure where you can get plastic. But when you are looking be sure to get something with a wide enough opening for you to get plenty of ice inside. You could try a plastic stemless wine glass perhaps? I hope you have fun making these! I finally made this today (as in I’ve been waiting since last year to try them) and I was amazed that I could do this! These are so cool and were a huge hit with my younger brother who was over my house! Thank you so much for sharing! Awesome! Thanks for letting me know. Love the idea! Had never guessed the sugar levels would be the key! I have saved this for my 17. Mai celebration. Now I just have to find some alternative liquids here in Norway! This is so cute! I’ll definitely try this out this coming weekend for a birthday celebration of my niece. Thanks for the ideas. Hi, this looks so fun, wish to do this on the 4th but where do I find the straws? Hi Holly. I found them at Target. I also linked to them at the bottom of the post found on Amazon. Thanks for commenting! You can find it online (linked to Amazon above), or at most grocery stores. I would also try a gas station/convenience store. You need to use something with less sugar than the bottom 2 layers, so that’s why I used G2. Love this! Definitely going to try it out for our 4th celebration. 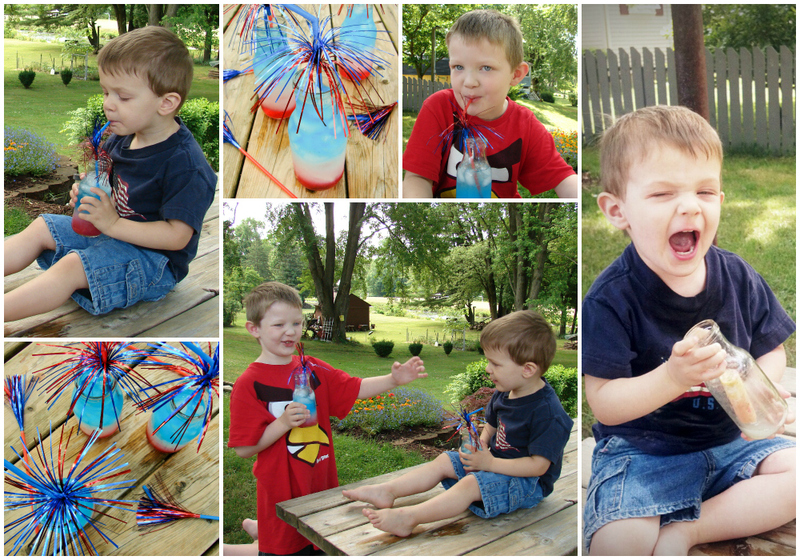 Grown ups are getting red, white and blue sangria, so the kids need something fun as well. Perfect! Do you have to use ice in order for it to work? I haven’t tried it without ice. I’ve heard that you can use the back of a spoon to pour the drinks over that. I love this! I am going to change up the colors and use the idea to make “potion” drinks for a Harry Potter party. So much fun! Would u be able to use any type of juice for any of the parts? For instance could u use red Minute Maid fruit punch instead of red Cran Apple juice and what would be any other option for white? 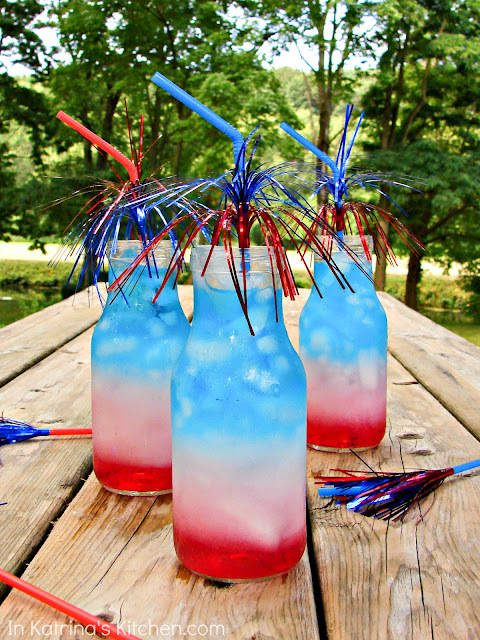 This is a fantastic drink idea for any red white and blue party. Love it! Pouring slowly over the back of a spoon works really well for layering, too. Just make sure the spoon is very close to the top of the liquid below, and pour slowly. I can’t wait to try these!